You are here: Home / Accumulator Bonuses / Mobile Bonuses / Sportsbook Bonuses / Sportsbook Promotions / Get 80% Superpay Bonus at Big Bet World! Big Bet World runs by the motto, “Don’t just get paid, get Superpaid!” And with the Superpay Bonus you can you can do just that by winning up to 80% more on your sports bets. Create a betting slip by combining your favourite sports events and collect massive earnings with the bonus. The more wagers you have on your betting slip, the more you’ll receive from the online sportsbook. Having 4 selections on your bet slip will see you get a 2% bonus, while 6 selections gifts you with a 10% bonus. After that, every subsequent selection that you add increases the Superpay Bonus by 5%. It culminates with 20 selections that carry the 80% bonus! You can use this promo on all of the sports offered at Big Bet World. The only exceptions are the Football Jackpots and the Racebook, but that’s why you lots of options with all the sporting events. Today, round 27 of Serie A will see Lazio host Sassuolo, while a real delight of a match will take place between Fiorentina and Napoli. Lazio are favorites to win 1.70 (7/10) against Sassuolo 5.25 (17/4), despite the latter having a point more than the former on the table. Napoli are second in the league with 57 points and they are looking to clinch another win 2.30 (13/10). Fiorentina are not too far behind in fourth spot with 52 points, but they’re still viewed as underdogs for the match 3.20 (11/5). The Turkish Super Lig takes center stage tonight in the football world as rivals Fenerbahce 2.05 (20/19) and Besiktas 3.45 (27/11) will go head to head. So far the two sides have met on 340 occasions, with Fenerbahce having a slightly better record with 128 victories, while Besiktas have claimed a win in the derby four times less. The game also resulted in 88 draws, which again highlights that both teams have always maintained quality and neither one has succumbed to the other. That’s why placing a wager on a tie 3.40 (12/5) between the two might be a good idea. 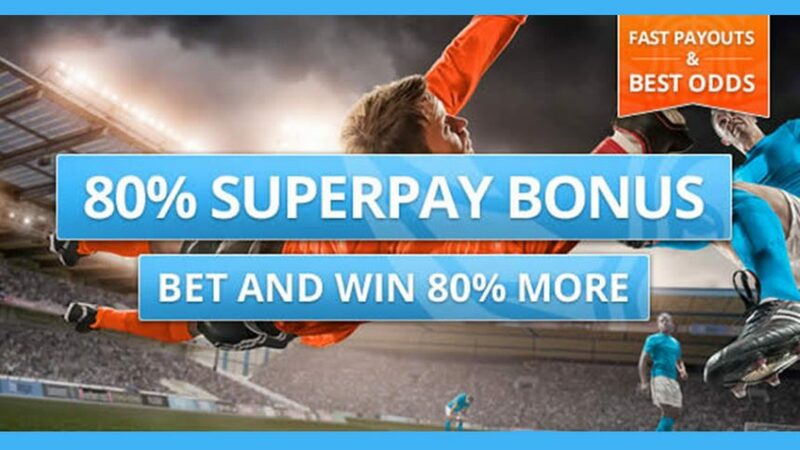 Bet with Big Bet World for tonight’s encounters and collect up to 80% more in winnings with the Superpay Bonus!